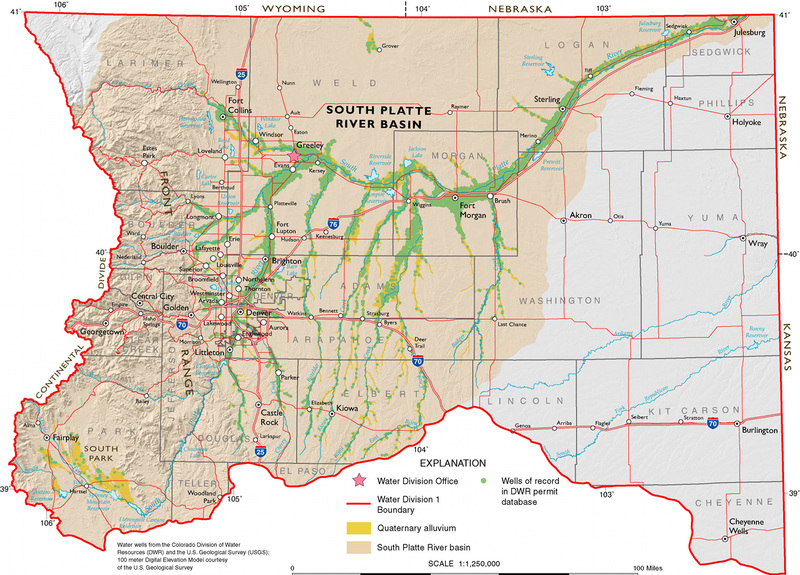 The South Platte Roundtable is hosting a series of input and information sessions around the region during the upcoming weeks, as it continues piecing together its comprehensive, long-term water plan for northeastern Colorado. Each of the basins in Colorado is putting together individual water plans, which will help make up the collective Colorado Water Plan — an effort put in motion by Gov. John Hickenlooper. All meetings will be from 3:30-7 p.m., will include an overview of the South Platte River Basin’s water supplies and needs, and will also feature question-and-answer sessions and information displays. » Wednesday at the Southwest Weld County Complex, 4209 Weld County Road 24 1⁄2 in Longmont. » March 19 at the Fair Barn, 880 Bogue St. in Fairplay. » April 10 in Yuma (held in conjunction with the Republican River Water Conservancy District’s regular quarterly meeting). For more information, go to SouthPlatteBIP@hdrinc.com or http://cowaterplan@state.co.us. “Just add water.” Simple instructions on the back of your muffin mix, but coming up with the Colorado Water Plan dictated by the Governor last year is proving to be much more complicated. Currently, regional meetings are taking place to put together a plan that will work for the entire state, but Eagle County Commissioner Kathy Chandler-Henry said she is concerned about the competing needs of the Front Range and the mountain communities. According to the Northwest Council of Governments, people incorrectly make several assumptions about water: that population growth can’t be contained, that there’s plenty of water on the west slope for the Front Range, and that new water projects are needed to save agricultural interests. Chandler-Henry and others also question predictions that Colorado’s population is going to double by 2050. Colorado water allocation has historically been guided by local governments. Supporters of Colorado’s Water Plan say its goal is to get those communities to work more cohesively and streamline efforts to provide adequate water while not compromising the environment. Link to more information on the Colorado Water Plan at http://NWCCOG.org and the relevant executive order at http://1.usa.gov/NCQbWD.